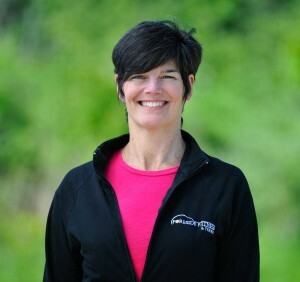 Chris earned her first certification in 1997 when she began teaching a variety of group fitness classes, and she added personal training to her schedule when she joined Foreside Fitness exclusively in 2008. With a client-centered approach and emphasis on mechanics and technique, Chris ensures progression, appropriate challenge, and safety as individuals move toward their health goals. She’s rewarded to hear clients share feelings of improved balance, strength and stamina in their daily activities. It validates her philosophy that “exercise is medicine and strength training really is the fountain of youth!” Chris enjoys spending time with her extended family. You might even see her with husband, Mark, and their adult daughters in a BodyPump class! Chris is certified through the American Council on Exercise as Personal Trainer and Group Fitness Instructor. She is a certified instructor for Les Mills BODYPUMP™ and holds an advanced certification as a Wellness and Health Coach. Most recently, Chris became a certified Tai Chi instructor with the Functional Aging Institute. In September 2018 she launched the Foreside Fitness Tai Chi program, making classes available to members for the first time! Additional exercise study includes completion of USM courses in Anatomy, Exercise Physiology, Kinesiology, and Sports Nutrition. Chris was a course instructor for 7 years with USM Lifeline’s Certificate in Fitness Instruction Program. She also holds a BA in American Studies from Mount Holyoke College.